Sterling barb wire Earrings by Skulls And Orchids. 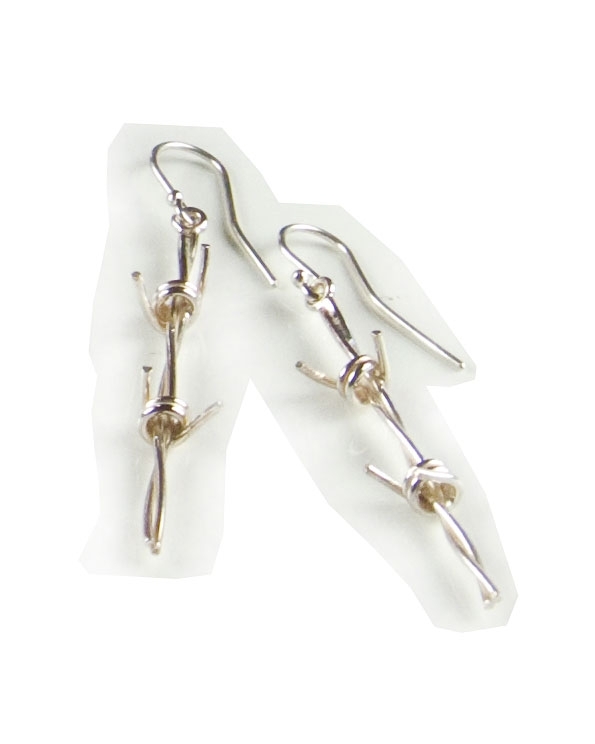 This unique pair of earrings features sterling silver wire intertwined that forms the bard wire. Earrings measures 6.5cm/2.5" in length and are for pierced earrings. A unique pair of Designer earrings can be worn all day and also makes a wonderful gift.